VMware is a global leader in cloud infrastructure and business mobility. VMware accelerates customers’ digital transformation journey by enabling enterprises to master a software-defined approach to business and IT. With VMware solutions, organizations are building extraordinary experiences by mobilizing everything, responding faster to opportunities with modern data and apps hosted across hybrid clouds, and safeguarding customer trust with a defense-in-depth approach to cybersecurity. As an Intern or New Graduate at VMware, you’ll create innovative solutions and solve complex problems. You’ll take ownership of meaningful, big-picture projects and springboard into an impactful career. 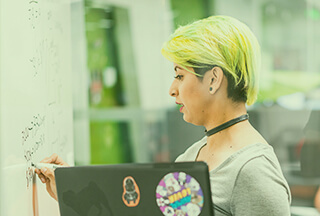 At VMware, you will become immersed in all aspects of our innovative and collaborative culture, and ensure you get the full VMware experience. You’ll interact with industry thought leaders at one of our world class campuses and enjoy networking, community service, and career development events.